The numbers are high. The stories are heartbreaking. The pictures drawn by children are devastating. One girl draws her own portrait. It’s a close up of her face, pressed against bars. Her eyes are blue, her tears, streaming down her face, are blood red. All the self-portraits are similar: the children are crying and are all in cages. Doctors and others report that children can’t sleep, suffer trauma, regress, suffer clinical depression, self-harm, and die inside. Leads virtually inevitably to greater levels of mental health disturbance. Just call it ordinary torture, and be done. The delivery of medical services is worse than toxic, and the stays get longer and longer. 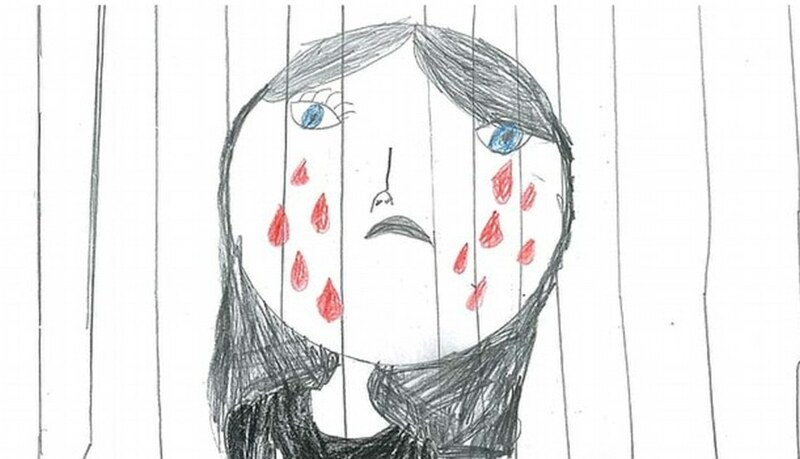 Today, Australia holds more or less 1,000 children in “closed immigration detention.” The longer children stay in “closed immigration detention”, the more likely they are to suffer mental health crises and the more severe those crises will become. At a hearing of the Australian Human Rights Commission this week, Triggs asked, “Is it acceptable to have children held on Christmas Island in shipping bunkers, containers, on stony ground, surrounded by phosphate dust in that heat?” The government representative replied, “The last time I looked, president, there was no shipping container. They are containerised accommodation, they are not shipping containers.” Unfortunately, “containerised accommodation” does clarify everything. The State sees these children as less than less than less than human. A child will die in one of those cages, and that child will have been a human. Perception matters, as Australia’s women asylum seekers and their children well know. Torture matters. The torture of children matters. Children matter. Tell Australia, and tell all the nations of the world that throwing asylum seeking children into cages. Children matter. It’s not shocking.